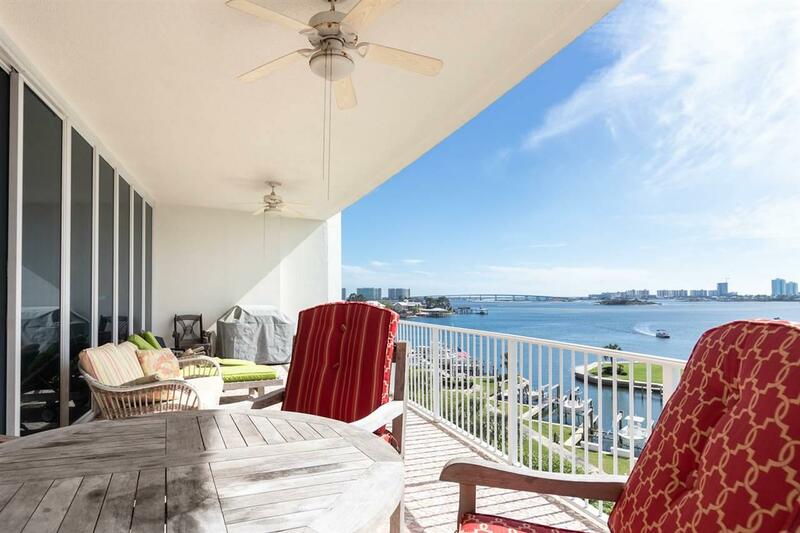 Its all about the view from this beautiful 4th floor unit! 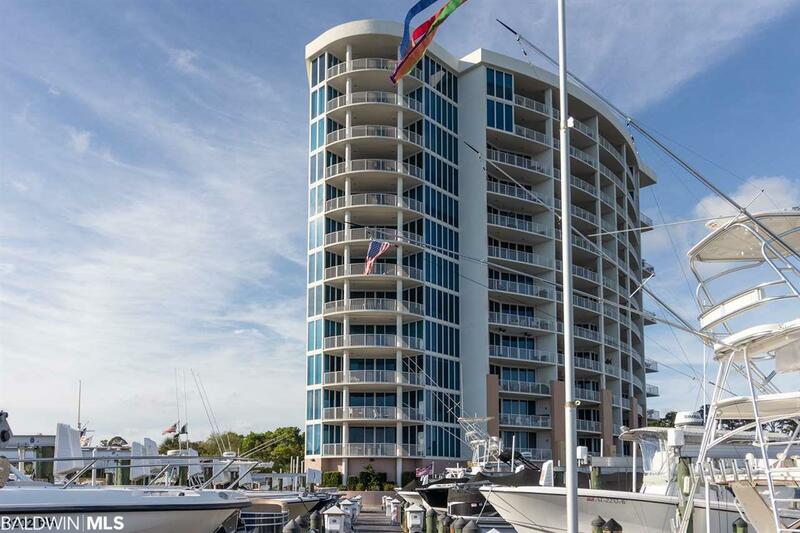 Watch the dolphins and hear the water wash against the boats from this not-too-high, not-too-low condominium! Take a look at the photo shot from the balcony! 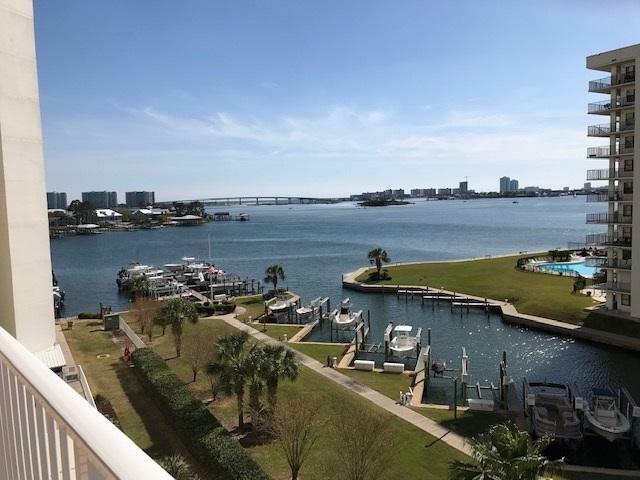 With stunning views overlooking Orange Beach and Perdido Pass on the south side, and a 2-acre Garden Park on the north side! 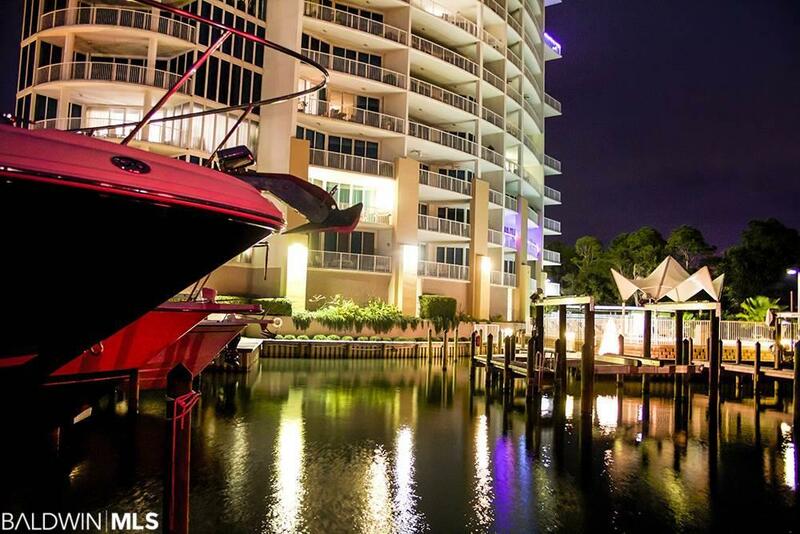 This 89-unit Waterfront Condominium Complex hosts a beautiful Gated Entrance * Covered Porte-cochere * Covered Parking * Large Lobby * On-site Management * 2 Pools * Lap Pool * 3 Hot Tubs * Jetted Indoor Hot Tub * 26-Slip Marina with Day Slips * Fish Station * 2 Tennis Courts * Gazebo * Picnic Area * Sports/Croquet Court * Fitness Room with TV * Common Room with Bar, TV and Fireplace * Game Room with Round Tables * Pet Friendly * Storage Units * Private Balconies * Most units have Natural Gas Grills and/or Fireplaces * Sliding Glass Doors are Built to withstand Hurricane Force winds up to 130 mph * Rental minimum is 2 months * Boat Slips and Parking Slips may be bought and sold among Owners. The Garden grows Roses, Fruits, Berries and Spices for the Owners to pick and enjoy! The complex is Pet Friendly with lots of grassy areas to walk your dog, picnic or just relax. The Large Lobby looks onto one of the Two Pools and Hot Tubs on the premises. Coupled with this extraordinary Waterfront Complex is an expansive 2-Acre English Style Garden Park unprecedented anywhere along the Gulf Coast. There is an Herb Garden area with Rosemary, Dill, Parsley, Sage and more. Among the fruits and berries grown are Lemons, Figs, Oranges, Grapefruit, Blueberries, Peaches and more all for the Owners to enjoy! There are 72 Rose Bushes which adorn the Garden. Beautiful Roses will also be found in the pool areas, soaking up the sun right beside you! The Tennis Courts are surrounded by red honeysuckles and the acre Sports Court is embraced by Boxwoods, Spiral Topiaries, and Azaleas. Rare Camellias are scattered throughout the area!